Last week we announced the general availability of Virtual Network support as part of our IaaS release. 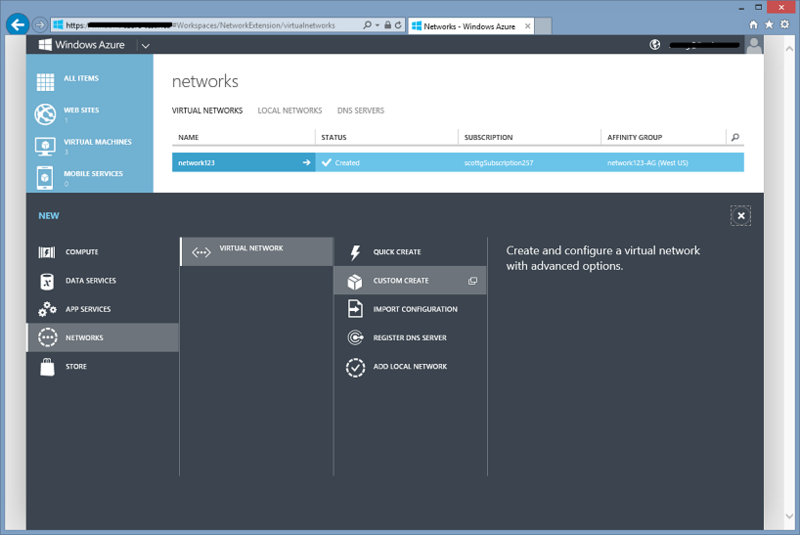 Virtual Networking allows you to create a private, isolated network in Windows Azure and treat it as an extension of your on-premises datacenter. For example, you can assign private IP addresses to virtual machines inside a virtual network, specify a DNS, and securely connect it to your on-premises infrastructure using a VPN device in a site-to-site manner. It is especially useful for developers who want to connect to a Windows Azure Virtual Network (and to the individual virtual machines within it) from either behind their corporate firewall or a remote location. Because it is point-to-site they do not need their IT staff to perform any activities to enable it, and no VPN hardware needs to be installed or configured. Instead you can just use the built-in Windows VPN client to tunnel to your Virtual Network in Windows Azure. This tunnel uses the Secure Sockets Tunneling Protocol (SSTP) and can automatically traverse firewalls and proxies, while giving you complete security. 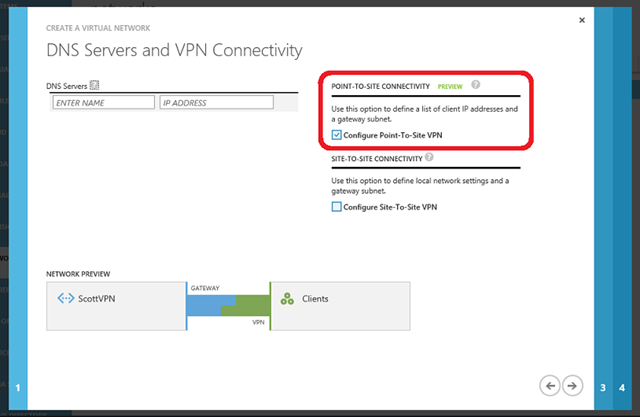 Small businesses (or departments within an enterprise) who don’t have existing VPN devices and/or network expertise to manage VPN devices can now rely on the Point-to-Site VPN feature to securely connect to their Azure deployments. Because the VPN software to connect is built-into Windows it is really easy to enable and use. You can quickly set up secure connections without the involvement from the network administrator, even if your computers are behind a corporate proxy or firewall. 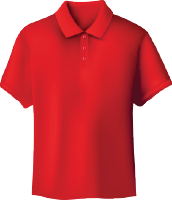 This is great for cases where you are at a customer site or working in a remote location (or a coffee shop). On the following screens you can then specify the IP address space of your Virtual Network. Once the network is configured, you will create and upload a root certificate for your VPN clients, start the gateway, and then download the VPN client package. You can accomplish these steps using the “Quick Glance” commands on the Virtual Network dashboard as well as the “Create Gateway” button on the command-bar of the dashboard. Read this tutorial on how to “Configure a Point-to-Site VPN in the Management Portal” for detailed instructions on how to do this. Once you connect you will have full IP level access to all virtual machines and cloud services hosted in your Azure virtual network! No hardware needs to be installed to enable it, and it works behind firewalls and proxy servers. Additionally, with this feature, you don’t have to enable public RDP endpoints on virtual machines to connect to them - you can instead use the private IP addresses of your virtual private network to RDP to them through the secure VPN connection. With today’s release we are also adding software VPN device support to our existing ‘Site-to-Site VPN’ connectivity solution (which previously required you to use a hardware VPN device from Cisco or Juniper). Starting today we also now support a pure software based Windows Server 2012 ‘Site-to-Site’ VPN option. All you need is a vanilla Windows Server 2012 installation. 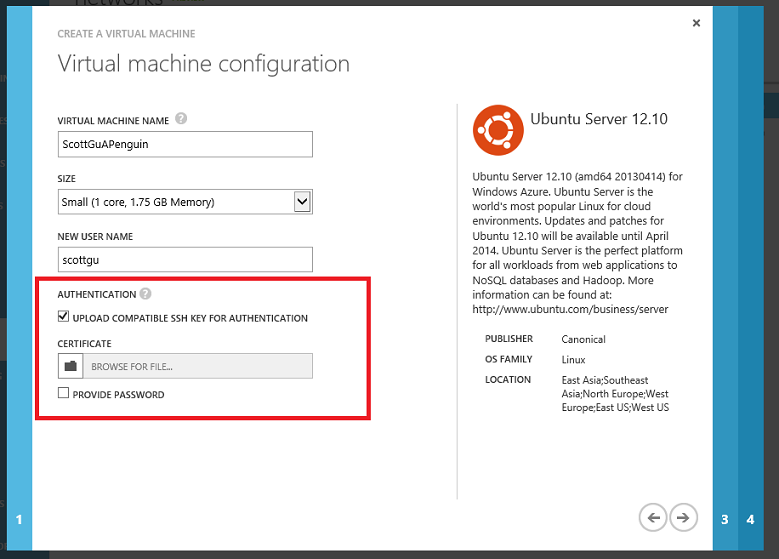 You can then run download and run a PowerShell script from the Windows Azure Management Portal that enables the Routing and Remote Access Service (RRAS) on the Windows Server and configures a Site-To-site VPN tunnel and routing table on it. Sandrino Di Mattia has a step-by-step tutorial on how to do this here. 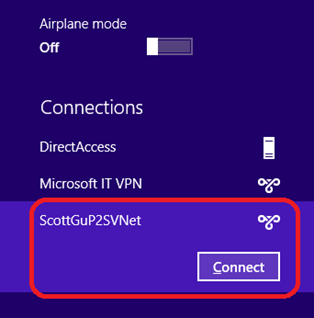 This allows you to enable a full site-to-site VPN tunnel that connects your on-premises network and machines to your virtual network within Windows Azure - without having to buy a hardware VPN device. With today’s release we have also relaxed restrictions around DNS server setting updates in virtual networks. You can now update the DNS server settings of a virtual network at any time without having to redeploy the virtual network and the VMs in them. Each VM in the virtual network will pick up the updated settings when the DNS is refreshed on that machine, either by renewing the DNS settings or by rebooting the instance. This makes updates much simpler. If you’re interested further in Windows Azure Virtual Networks, and the capabilities and scenarios it enables, you can find more information here. When the checkbox is selected the VM enables remote PowerShell, and a default firewall endpoint is created for the deployment. This enables you to have the VM immediately configured and ready to use without ever having to RDP into the instance. 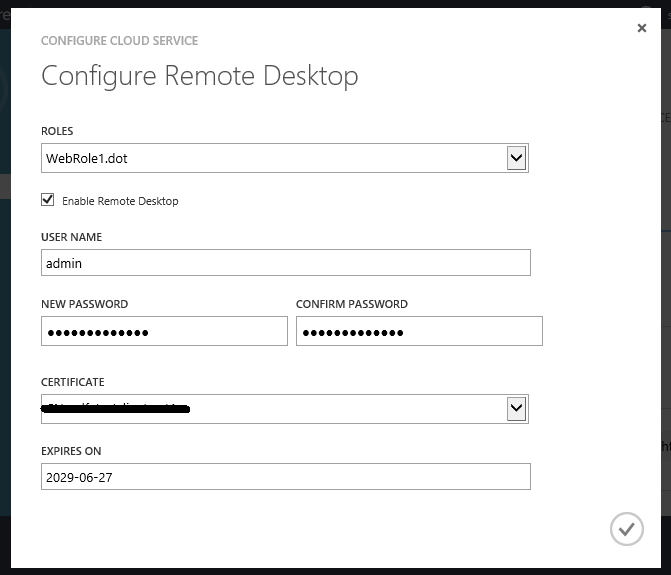 Windows Azure Cloud Services support the ability for developers to RDP into web and worker role instances. This can be useful when debugging issues. Prior to today’s release, developers had to explicitly enable RDP support during development – prior to deploying the Cloud Service to production. If you forgot to enable this, and then ran into an issue in production, you couldn’t RDP into it without doing an app update and redeploy (and then waiting to hit the issue again). 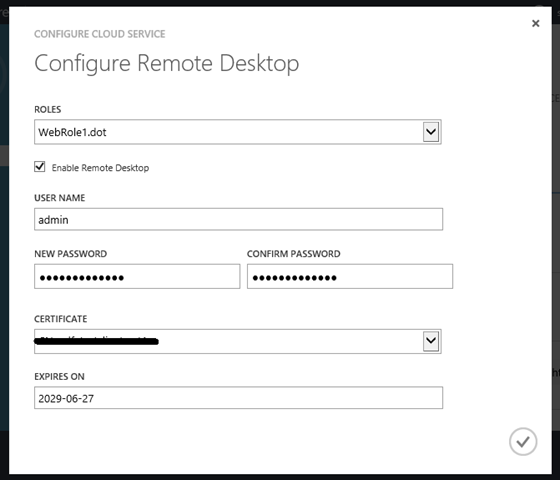 With today’s release we have added support to enable administrators to dynamically configure remote desktop support – even when it was not enabled during the initial app deployment. 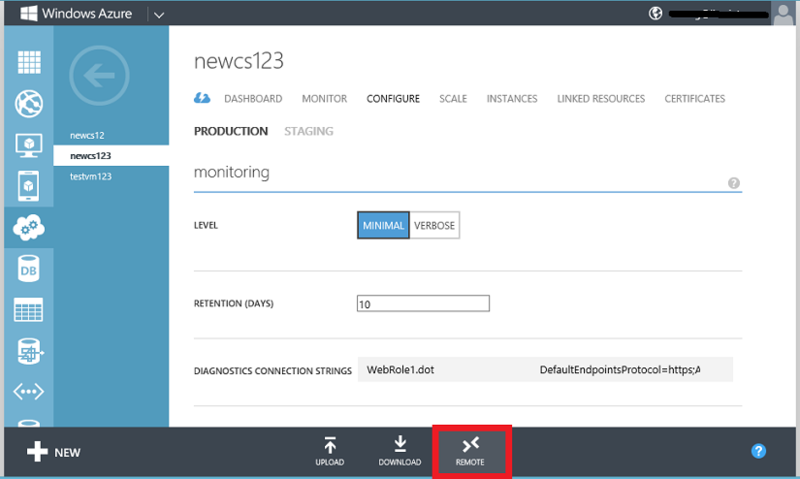 This ensures you can always debug issues in production and never have to redeploy an app in order to RDP into it. Once dynamically enabled you can then RDP connect to any role instance within the application using the username/password you specified for them. Windows Azure already has SDKs for .NET, Java, Node.js, Python, PHP and Mobile Devices (Windows 8/Phone, iOS and Android). Today, we are happy to announce the first release of a new Windows Azure SDK for Ruby (v0.5.0). Like all of the other Windows Azure SDKs we provide, the Windows Azure SDK for Ruby is a fully open source project hosted on GitHub. The work to develop this Ruby SDK was a joint effort between AppFog and Microsoft. I’d like to say a special thanks to AppFog and especially their CEO Lucas Carlson for their passion and support with this effort. Today’s release includes a bunch of nice features that enable you to build even better cloud solutions. If you don’t already have a Windows Azure account, you can sign-up for a free trial and start using all of the above features today. Then visit the Windows Azure Developer Center to learn more about how to build apps with it. This is great news. About 8 months ago I setup a cross premise VPN from Azure to my network, but I had some routing issues. I wanted an Azure VM to be able to access a 3rd party network has a direct connection from my primary network, but I couldn't get it to not use Azure's outbound Internet connection. Does Azure support this? How do i get support to get it setup properly? Is there a service endpoint to handle all this new point to site functionality - ie generate installer? This was one of the first questions asked to me when I introduced the Azure VPN to a customer. Great new feature. This is great news. Can we enable other plug-in using the dynamic enablement API? I take it you cannot add this to an existing Site-To-Site setup correct? I am starting a new Azure user group in austin on May 13. We are going to be sure to demo these new features. Thanks. Now I'm using Azure Connect to connect to my virtual machines from everywhere. (But it seems that it is a little deprecated). Point-To-Site is a good option instead. But I cannot find any information about pricing. And one more question: can we use Azure Virtual Networks to secure connections to Azure Sql for roaming users? This is off topic, but I was hoping to hear some updates for the storage side of Azure. Specifically for Azure Tables - secondary indexes have been promised for the last several of years, Amazon is now supporting them with DynamoDB - Is this still planned for Azure Table Storage? If so, can you let us know when? Additionally Full Text Searching and cross partition transactions would be great additions. Is there a road map anywhere with planned feature upgrades? If you have all your services in the South Region, then you are out of luck! 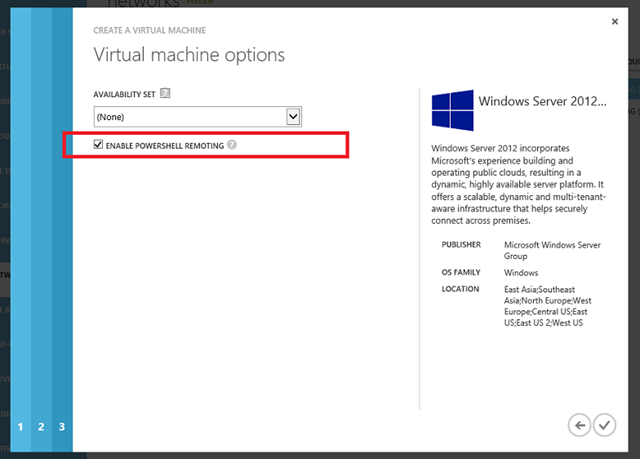 Confirmed with MS that, VMs can no longer be created in South region. So all these Virtual Network features are useless for us, unless we are ok with having our services spread across multiple data centers! Confirming this is with standard ruby and not the IronRuby .net tool that we are talking about with the azure announcement ? We are still waiting for reverse DNS support for VMs, right? I already have an existing Virtual Network (for the Cross-site VPN); selecting it then picking "Configure" from the Azure portal screen, I can see the new "Configure Point-to-Site VPN Connecting" checkbox but the portal will not let me enable it, stating "This virtual network is in use. Configuration changes are limited to adding new subnets." Do I new to create a second [separate] Virtual Network instead? Scott what I would really like to see, is the ability to increase the size of the virtual machine OS disk, 30gb is not enough. Is this on the cards? With Azure connect I can rdp between 2 on-premise clients that are in the same group. Is this also possible with point-to-site connections? I find tutorials ans articles on connecting from an on-premise client to a vm in the virtual network but nothing on connections between clients. Is this possible? How is it done? Great Work Scott. Software based Site-to-Site VPN between Azure and on-premises is a great feature. This feature is exactly one of of customer was looking for. Is it possible to start a Point-to-site connection programmatically?